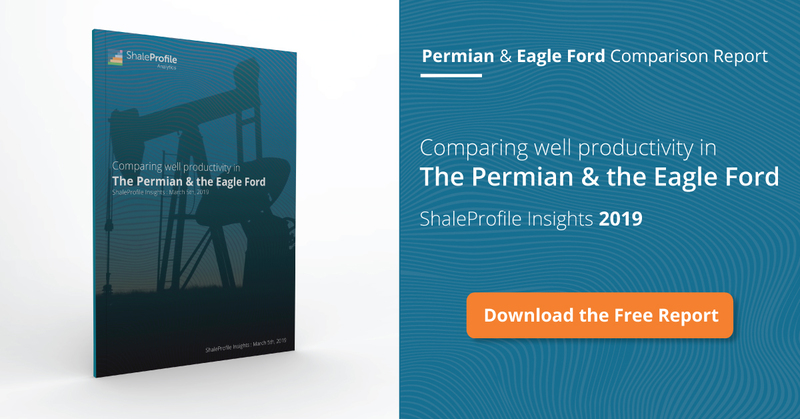 This interactive presentation contains the latest oil & gas production data through January, from 84,210 horizontal wells in 10 US states. Cumulative oil and gas production from these wells reached 8.4 Gbo and 86.6 Tcf. Oil production from these wells has risen fast in the 12 months through February, adding around 1 million bo/d, bringing the total to over 5 million bo/d (after revisions). The pace of this growth has been similar to that seen in 2014, but the surprise this time is that far fewer wells are responsible for this (8.5k vs 15k in 2014, excluding Ohio & West Virginia). The impact from changing well designs on well productivity can be seen in the ‘Well quality’ tab, where I’ve preselected the oil basins. In the ‘Well status’ overview, where the status of all these wells is shown, you can seen an inflection point at the end of 2016, when drilling activity went up again. These rapid decline rates explain why about half of current unconventional oil production is coming from wells that started in the past 12 months, as shown in the first presentation. The location and status of these wells can be seen in the 3rd tab (‘Well status map’), where the size of the dots is an indication of how many wells are represented. Early next week I will have a new post on the Niobrara, followed by one on the Appalachian basin (end of next week/early the week after). In my simplistic view, it is becoming more and more critical that CAPEX keeps flowing into the US shale fields that produce oil, as it appears a larger and larger amount of total production is coming from wells less than one year old. In this regard, it also appears from my simple view that decline rates are becoming more steep, as operators are doing everything possible to pull forward as much production as possible from these wells. Again, thank you very much for all of your work on this very important topic! I suspect your work has led you to a lot of interesting discussions with a wide array of people, which I think is a good thing. I think this is why you have been successful with shaleprofile.com, you have merely laid out the facts. > as it appears a larger and larger amount of total production is coming from wells less than one year old. Due to more and more legacy production, this ratio (new well production / total production) is actually falling; you can see this in the first graph, e.g. by look at Dec 2014 production from 2014 wells vs the total, and comparing this with Dec 2017 production from 2017 wells. However, I do have the impression that initial decline rates are steeper than before, and a larger part of EUR is recovered in the first year. You can see this in the ‘Well quality’ tab: the ratio between peak production for 2016 vs 2012 wells is (521/309=) 1.7, while this ratio drops to 1.5 after 20 months (107/71.7). Therefore, I think you are right that for newer wells ever more production is pulled forward. Production will therefore respond more quickly to changes in CAPEX, and therefore also to changes in prices.